In The Tell-Tale Heart by Edgar Allan Poe we have the theme of guilt, paralysis, madness, paranoia and identity. Set in the 1840s the story is narrated in the first person by an unnamed narrator and after reading the story the reader realises that Poe may be exploring the theme of guilt. The narrator after he kills the old man loses the calmness that he had previously shown before the killing and begins to feel guilty about his actions. The guilt being triggered by the sound of the old man’s beating heart or at least the narrator thinks he can hear the old man’s heart beating. However the reality is different. There is no sound apart from what the narrator imagines in his head. It is for this reason that the reader may suspect that the narrator is of unsound mind and possibly mad. Not only has he killed the old man because of a preconception (the vulture-like eye) but he is also imagining that the old man is still alive. If anything the narrator has not only gone too far by killing the old man but he has also descended further into madness. His senses are heightened and he is imagining things that are not there which may suggest that the narrator is paranoid. Though we do not get much insight into the old man we are aware that the narrator liked him which may suggest that rather than being some kind of demon, the old man was an affable sort of person. Who just had the misfortune of living with an individual who had a very thin grip on reality. Poe may also be exploring the battle that exits within self between good and evil. The narrator due to his madness is unable to differentiate between both. For the majority of the story he sees nothing wrong with what he has done. It is only when others (policemen) become involved that the narrator begins to feel some kind of guilt. It is also interesting that the narrator is able to rationalize his actions, to justify them, yet he is unable to see that he has descended into madness. He has killed a man because he believes that the man (or his eye) had the capacity to view him in a certain manner. A manner which made the narrator feel uncomfortable. It is also possible that Poe is using the old man’s eye as symbolism. Eyes are used to see something. The narrator may not have liked what the eye could see. In essence the narrator may not have liked himself (or his identity) and rather than focusing on himself or trying to change himself decided upon killing the old man. Placing the blame for his actions on the old man’s eye. Poe may also be using the setting of the story to explore the theme of paralysis. Most if not all the story is set in the old man’s room with very little or no movement occurring outside the room. It is possible that Poe is using the confinement of the old man’s room to mirror the sense of confinement or paralysis (due to madness) that the narrator is feeling. If anything he is mentally paralyzed. Though we can’t be certain it is also possible that the narrator is telling his story while in a prison or an asylum. The reality being that he is locked up or trapped in the one place. Which may further suggest a sense of paralysis for the narrator. He is going nowhere and is physically trapped. It is also possible that there are two victims in the story. The old man who has lost his life and the narrator who has descended into madness. What is also interesting about the story is not whether the narrator is guilty of killing the old man. He freely admits that he has killed him. It is a matter of whether or not the narrator is sane or of sound mind. This appears to be more important to the narrator. That he is viewed upon as being sane. The narrator also bases his sanity on the fact that he has been precise and calculated when he killed the old man. Everything had been planned by the narrator. If anything he is giving a rational explanation for what would be considered to be an irrational act (murder). 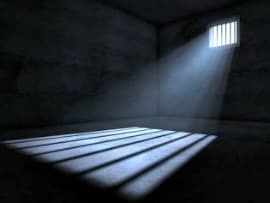 If the narrator is indeed in an asylum it is possible that the purpose of his story is to try and ensure that he is moved to a prison rather than having to stay in an asylum. As readers we never know for sure who the narrator is telling his story to but it may be a case that the narrator is using his story as a defense in order to prove that he is not insane and as such should be detained in a prison rather than in an asylum. However one thing that is clear at the end of the story is the fact that the narrator is unreliable. The only insight that the reader gets from the narrator is exactly what the narrator wants to say. At all times the narrator remains in control of the story leading the reader (or listener) in the direction he wants to take them. The most important thing to the narrator is not whether he has killed somebody but to again prove that he is sane. McManus, Dermot. "The Tell-Tale Heart by Edgar Allan Poe." The Sitting Bee. The Sitting Bee, 6 Dec. 2016. Web.